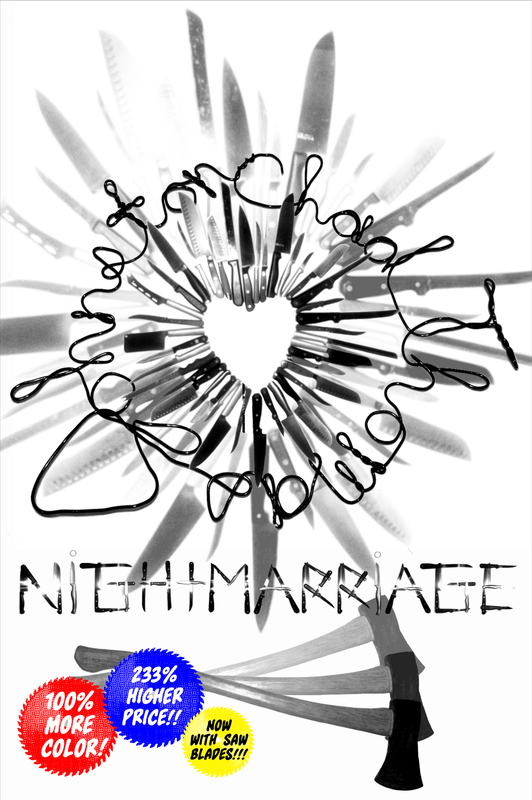 “Nightmarriage” Color Edition Now Available for Exorbitant Price! “Nightmarriage” fans, you can now purchase a color edition of the book for a mere $34.99!!! It’s more expensive than the black and white edition, yes, but it’s also cheaper than the production of the color portion of The Wizard of Oz, so I think we should be commended for our business acumen. Visit the eLectio Publishing store to secure your copy now. The first twenty copies are limited edition, numbered, signed copies. All come with a free, e-b0ok download of the book.